A really interesting piece from Mick on Yes. Mick and I are both Yes fans and certainly don't agree on everything. I look upon Going For The One as the last great Yes album, I'm not sure anyone needs any Yes after this point. I do like Drama, but I look at it as The Buggles Go Prog. The one thing we do disagree on is that I consider Tales Of Topographic Ocean to be the biggest waste of Electricity ever. Mick's tried to change my mind many times, but every time I go back to it, I like it even less. When Going For The One was released in the summer of 1977 I was a teenager at the height of my love affair with Yes. It had begun a few years before after my brother Todd first got me into music. I had a great fondness for the first two albums, but it was Steve Howe joining for The Yes Album that turned them into the classic Yes I loved. It made them my favourite band for the next few years. Topographic Oceans was the first album that came out when I was actually into them and to me it was exactly where I wanted the band to go after Close To The Edge. Topographic was a totally natural progression in my eyes and though others struggled with its epic complexity I adore it. 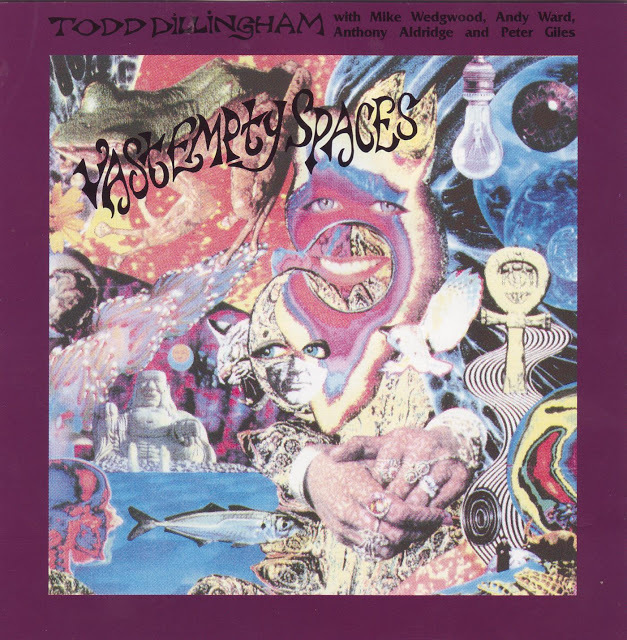 Wakeman had departed to concentrate on his increasing silly epic concept albums. Moraz entered the picture and brought an interesting but colder edge to the band sound on the wonderful Relayer. Then, ominously, each member went off to do a solo album and when they returned for Going For The One you could hear the separation that had resulted. Wakeman was back and Going For The One, housed in a horrible Hypnosis cover (Going For The Bum), felt like they were just taking a breather. It was as though they were easing Wakeman gently back into the band before they continued on their true path of musical exploration once more. But instead we got Tormato and that album was the end of the era of classic Yes. Though I do rate Going For The One, the beginnings of that end are all over it. First off I will say I have no problem with Awaken in the slightest, it is classic progressive Yes in every way, their last masterpiece. But then it’s the rest of the album where the cracks are starting to show. The title track itself is stunning but the gimmicky production resulted in it being the first Yes track they couldn’t play properly live. The song really was a far lesser entity live and it also marks the start of the band abandoning the unique and oblique lyrical style of their classic period. Lyrics became for more straight forward and I would judge, dumbed down and commercial. To me the lyrics of Going For The One sound clumsy and the vocal melody is hampered by having to follow them. Imagine the song just played and sung on an acoustic guitar and it’s really not much of a song. Turn of the Century is a lovely track, but there's something about the arrangement and individual rather than gestalt playing that stops it short of being equal to say And You and I or Heart Of The Sunrise. Because of the separation that I mentioned earlier, this sounds like five solo musicians playing rather than what it should be which is Yes playing it. Talking of separation, I really like Fish Out Of Water, Squires’ solo album and Parallels which closes side one of Going For The One could be lifted straight up and plonked down on Squires album as a perfect fit. It is not a Yes track but a Squire track. But it’s the shimmering melodic sweetmeat of Wondrous Stories that has the fatal shadow of their destruction hanging over it. An Anderson song, where Yes basically serve as his backing band that went on to be a minor hit. By Tormato, Anderson had lost all interest in Yes as a musical entity. During the aborted recording for the next album (a concept album about Richard the Lionheart!) in Paris he made it clear that the other members should serve as his backing band. When they refused, he absented himself from the recording sessions and then quit the band and assembled his own willing backing band of faceless session musicians. That was the end of Yes as a creative musical force. An end where the seeds were sown on Going For The One, but were masked by the glory that is Awaken. It grew even more apparent on the Awakenless Tormato, where nobody could deny that something was sorely amiss. By then Yes were no longer a grown up band, but more a Disney version. This new lyrical direction was to hit the lows of Circus of Heaven, Arriving UFO and Don’t Kill The Whale. Obviously, in reality, what was actually happening was Yes, like many bands, had run out of the creative magic that had fuelled them and the brotherhood that had made them work together as a band. Drama isn’t Yes, but taken as that it a pretty good go at a modern prog sounding band with members of Yes involved, Anderson’s melodic skills lasted through a couple of solo albums and some Jon and Vangelis pop stuff. Rabin period Yes isn’t Yes at all. but Cinema with Anderson tacked on as a money making after thought. 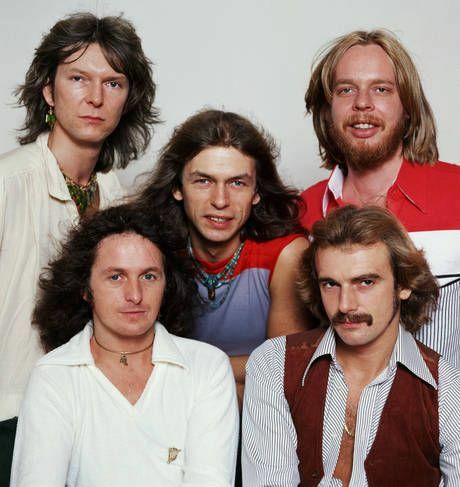 By the time Yes reconvened as Anderson Wakeman Bruford and Howe it was clear that the song writing well had run dry. The melodies were weak, the plodding lyrics bland and often inspirational new age nonsense. Even the riffage was salvaged from Howe’s early band Bodast. Upgraded musicianship and technical excellence had destroyed the masterful fire and passion of the Seventies. The results were impressively boring to my ears. And it’s been downhill all the way since then. Bank Holiday weekends in the UK are usually tumbleweed music news wise. This one wasn't, largely due to the announcement of a new Wyatt Funderburk album. It's released on 29 November. I know that's three months away, but as we are on the Christmas countdown now, it'll soon come around. Anyway in the meantime, there's some other news to keep you occupied. More on that in a bit. When we think of the major influences on Power Pop over the past two decades, we go to the continued presence of Tommy Keene and Dom Mariani or the strength of Mike Viola and Fountains Of Wayne. Alternatively, we do like to compare everyone to Teenage Fanclub these days. Jellyfish also cast a large, perhaps too large, shadow. Wyatt Funderburk's influence is vast. Before you mention the music that he has released himself. There's the work he's done as producer, mixer etc. Linus Of Hollywood, Bowling For Soup, The Wellingtons, Kurt Baker, The Connection and my beloved Silver Sun. He's also a member of the highly influential Explorers Club, so this list is already noting the services to Power Pop. But it doesn't end there. As a recording artist, he has been responsible for some of the best Power Pop for nigh on two decades. Initially with that wonderful debut album from The Pendletones. I always wanted another Silver Sun and we got the US version with Second Saturday. Two fantastic albums with top notch Power Pop. Here's The Deal was probably the best album of 2002. 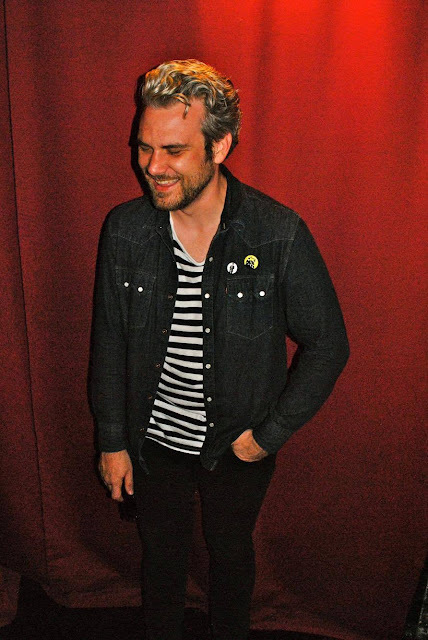 In 2013, Wyatt's first solo album, Novel And Profane, was in many of the end of year Best Of Lists. I'd normally break up the text with some music, but there's great news to tell you. For those who are not familiar with any or some of his work, three albums have been made available on Bandcamp as "Name Your Price" The Special Editions of the two Second Saturday albums and that splendid debut solo album are ready and waiting for you. You can find Here's The Deal (With 10 Bonus Tracks) here. You can find Greetings From Mount Rockmore (With 4 Bonus Tracks) here. I know you are going to hear more from me about Fleeting And Finite before it's release. I'm also hoping that Wyatt will agree to an interview with Mick for here. In the meantime, enjoy some of the best Power Pop you will ever hear. I've been enjoying the debut album from East Lansing's The Arrangement. Facing The Past is a great reminder that it's not only revival 60's bands playing great garage psych. I hear plenty of comparisons amongst the 11 songs here. From Freakbeat to Surf, Dillinger Escape Plan to Stooges and The Strokes. I first came across them via four tracks sent to me via Music Submit. I'm delighted that the subsequent album reveals even more of their promise. All four band members write and sing, perhaps explaining the mix of sounds. Chris Smith tells me that they are planning to add keyboards which makes them even more interesting. Their influences also dictate some of the sound from Led Zeppelin and The Doors to The Beatles And The Beach Boys. You can find out more about the band via their facebook page here. 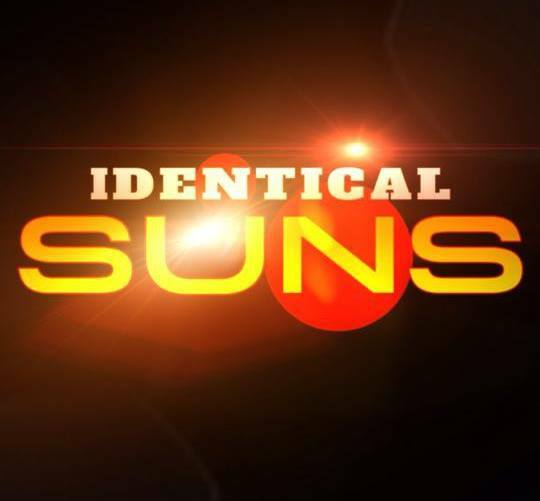 Their debut album can be bought at their bandcamp site here. Well worth a punt at 7 dollars. I'm looking forward to see The Arrangement's development in months and years to come. In the first of our Mick Dillingham Interviews, Mick talks to Paul Sumner about Sumner's That Ladybird Summer album. Since we returned to Public View, the Sumner album has been the most viewed post on I Don't Hear A Single. What a total delight Paul Sumner’s seemingly out of the blue new album “That Ladybird Summer” is. 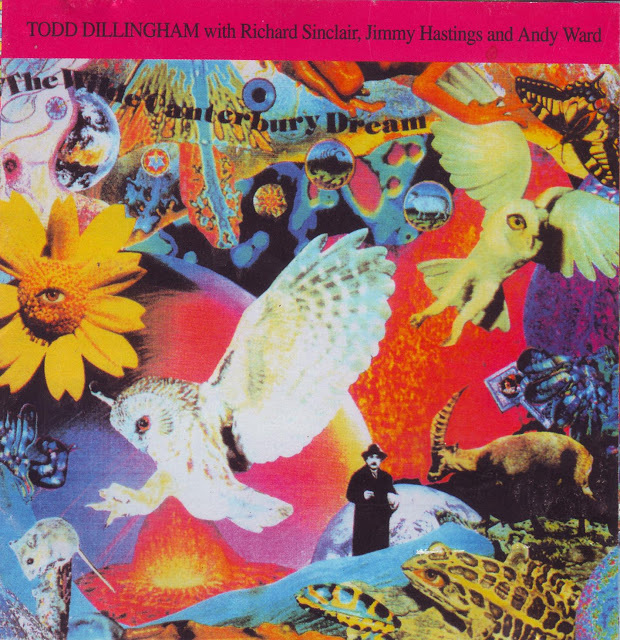 A beautifully crafted pastoral jewel of “as English as tuppence” psychedelic pop, chock full of great songs. Sublime melodies that lift the heart and please the ears with the abundant treasures it contains. Don has already waxed lyrically about this fine album here and I agree with every word of praise he has generously heaped upon it so far. We thought the time was ripe to sit down with the modest creator of this brilliant music. In what turned out to be his first ever interview, we find out from the man behind the curtain himself just how this magic came about. First up though here’s an exclusive, the unused introduction page to the new album that Paul kindly shared with us, then on to the excellent interview itself. So when did you first become aware of music? Paul, “I grew up, the second youngest of eight children, in a three bed council house in Crossens, a small village in Southport in the North West of England. Thinking back there always seemed to be music playing. I've got six sisters and a brother. My brother was into soul, a couple of my sisters were mods and my twin sisters were sort of hippies. My Mum was mad on jumble sales. She would've loved charity shops and car boot sales. In fact, you probably won't believe this but some of my happiest times were spent down the land fill site wading through mountains of shite looking for broken toys. My Mum loved music as well. I remember she bought a big old Radiogram, second hand, from the money lender, Mr Bevin. It was a Dynatron, a bloody beauty. I clearly remember one of my twin sisters, June buying a K-Tel album and hearing "Say You Don't Mind" and just being almost hypnotised by it. That voice and melody and those strings! I used to pester her to play "Life's Been Good To Me" by Frank Sinatra over and over and over. I loved the tempo of the song, the story and the way it made me feel, even though I didn't really understand its whole premise. My best mate Stephen was a drummer, his dad was a drummer and so was his brother. His bedroom had a drum kit in it and an upright piano. It's quite sad to me, looking back, that I had this music that was trying to get free from me,but I'd be sort of frozen inside, afraid to make some sort of move towards it. Steve was in various bands and I'd sit in the corner of the bedroom watching them rehearse. They'd get stuck on some part of a song they were making up and I'd know inside what should be happening, but was unable to convey it. No confidence I guess. In the Christmas of 76, I got Abbey Road and Sgt Pepper. Still got ‘em, with the Woolies pencil dates that they used to write inside the sleeve. I'd become interested in The Beatles for a couple of years before because my Mum had an album, "The Stars Sing The Beatles". Bernard Cribbins, Cilla, Kenny Lynch and a few others. Paul “In the early 90’s me and a childhood mate, H Ryding, had the idea to start a pop art band called The Trayns. We'd already recorded some demos at a couple of small studios and heard of Mark Wainwright’s studio Aliensound in Lancashire, about 30 minutes away from Liverpool, via a family member. We recorded a couple of tunes and things were going tickety boo and then we had one of those silly fall-outs over nothing, if my memory serves me. Anyway, I found myself alone with a bunch of tunes, so I decided to brave it and carry on regardless. By then I'd written a whole bunch of songs that seemed to fall into two camps. There was a group of songs that appeared to be about my childhood and another group. As for the time period involved in writing all those songs, it was so long ago that I'm struggling to remember to be honest. I just remember songs almost pouring out of me. They always seemed to happen very fast. Just strumming a few chords, maybe try something different. Then bang something would just happen, usually words and music together, or sometimes I'd be at work and I'd suddenly get a melody. I didn't think they'd be rolling around my head for such a long time. The sessions were difficult mostly down to me being a bag of nerves, I should say. Just building up confidence, whilst being in the company of proper musicians was a bloody big struggle in the beginning. Mark is a very laid back chap, very patient and easy going. I was so nervous that all of the vocals are first takes. “Maybe It's You” should've been re recorded because there was only actually the guitar mic working. So then a few years later you headed over to Sweden for some new recording. Paul. “The whole production process always intrigued me, probably from scanning the covers of Abbey Rd and Sgt Pepper and seeing produced by George Martin. Then becoming aware of Spector, Joe Meek, Nitzsche, Eno, etc. I really wanted to try and work with a producer. See what could happen? This was during the MySpace days and I stumbled across this Swedish chap called Mattias Olsson. He is an incredibly gifted musician and producer, so I saved up another wedge of dosh and flew out to Stockholm and onto the Roth Händle Studio. I like writing for a deadline… well I used to. I booked the tickets to Sweden. About 2 or 3 days before, almost panicking, I picked up the guitar and wrote about four new songs. I haven't heard them in a while but I remember being pleased with them although they're still unfinished really. We worked on several tracks over two separate trips, but yes, you guessed it, I had the inevitable falling apart routine. There's definitely that Swedish feel to them, and a more pronounced percussion and wired electronic vibe. There's one called "Softly Fall The Tears From Your Eyes" that Mattias's wife Åsa Carild came and sang backing vocals on. They were in a quite famous early 90s Swedish band together called Pineforest Crunch. It has a sort of Andy Williams/Bond theme to it, I always thought, but with that cold Swedish vibe again. Paul. “Working with Mark Wainwright became easier and easier over the years and so “That Ladybird Summer” was a different experience from the first one. Although both albums had massive gaps of time in between sessions, generally due to mental health problems. I had meltdowns during both of them. Bloody awful. I'm hoping that I might've finally worked my way through some stuff with the release of this one. I seem to feel a bit lighter. The time taken between albums wasn't actually meant to be so long. We probably started work on this current album about 3 or 4 years ago with the intention of completing it pretty sharpish. Like I said earlier, these particular songs and album idea had been written ages ago. My initial idea was to try and recreate a single day from my childhood. From the first sounds I heard, usually birdsong and the milkman, to coming home from playing out. I liked the idea of a Sunday, because my Uncle Burt and Auntie Pat always popped round on a Sunday and Mum had surreptitiously recorded just a visit. I even had a song about a Sunday Roast dinner called "The Traditional Roast" but as the album began to evolve, then it changed subtly here and there and that song got dropped. The most difficult part for me was actually revisiting these old songs and trying to sing and play them with the same mindset and exuberance. I wasn't the same chap anymore and I didn't want to sound fake if that makes any sense? Getting James Hoy in to do the drums on “Barney’s Farm” and “Let's Go and Play” was a lovely moment for me. Hearing James's drumming skipping along was just perfect, I thought. We then had a break in recording, this time mostly because my dear old Dad got really poorly and we all looked after him for just over a year. When we eventually started work again, Mark and I both realised that strings would be a great idea, so we hunted down a fine violinist from St Petersburg in Russia, Maria Grigoryeva and a fine Cellist from Los Angeles, Luke Janela and with the wonders of modern technology, hey presto! I also decided to get in touch with Mattias Olsson again to see if he fancied adding some instrumentation to some tracks and he kindly agreed. But I thought there was still something missing, but wasn't sure what? One night, whilst drinking far too much red wine, I had a thought. I wondered if Dave Gregory would agree to playing on a couple of songs? Hic! Anyway, I sent an email, not really thinking for one second that Dave would agree. Well, he did. So the tracks were sent to him and back they came. I can remember hearing them for the first time. It was a bit like opening a present at Christmas. I still pinch myself. He was such a gent. The only song I remember trying something a bit different with was “Barney’s Farm”. Trying to bring together some different threads, all from the same village theme. I've still got the original idea somewhere on a cassette. It's interesting listening back and hearing things falling into place. I don't really understand too much, but I sort of like that kind of naive approach… well, it's the only one I've got! I love that whole accident thing and texture. And what could be next? Paul. “There were at least five songs that didn't make it to the finished Ladybird Summer. Like I said earlier I'd written one called "The Traditional Roast". We tried to get a "Making Plans for Nigel" feel to the drum bit. I remember that was with Terry Shaughnessy. Then another called "Terry Stone" which was a bit punky, about a lad from the village. There was one called "Medicine Time", which was about a lady in an abusive marriage. In the end, although I really liked all of them, they just didn't jell. There are albums that you look forward to and I'll admit that I've been looking forward to this a lot. You know a Piunti album is gonna be Power Pop, his voice naturally suits the format. You also know you are gonna get plenty of guitar, because the lad can play. More of the same would be more than enough. However, Trust Your Instincts, released on 9 September, has far more than that. The riffs are still there, the solos are better than ever, the sing along choruses are all present, there's just loads more. It's not that it's a big departure from Beyond The Static or 13 In My Head, but there's an added lyrical depth and with that the songs seem more arranged and diverse. It's hard to explain because, it's the same, but different and all the better for it. I'd love to play you Dumb It Down, because it's an absolute gem of a song, but Nick has only made the first two tracks available for your listening delight. So here's the opener and title track which is more straight ahead Power Pop, chock full of the hooks that are a Nick Piunti song. Dumb It Down has everything, a real meandering hook, jingle jangle and pedal steel. It reminds me a lot of The Posies as do quite a few songs on the album. Blame In Vain could be Tom Petty, Vaguely Familiar could be Don Henley. Ready For What reminds me of The Shazam at their best. The Riff on As Far As I Throw will slay you and the closer, Stay Where You Are has loads of Byrds Jangle and the singalong chorus that you'd want. Here's the second track, One Hit Wonder, oh the chorus and that solo! Nick's joined on the album by Ryan Allen, whose excellent album I reviewed earlier this week, Andy Reed, who is on a one mission to be involved in every great album released this year and Verve Pipe's Donny Brown. 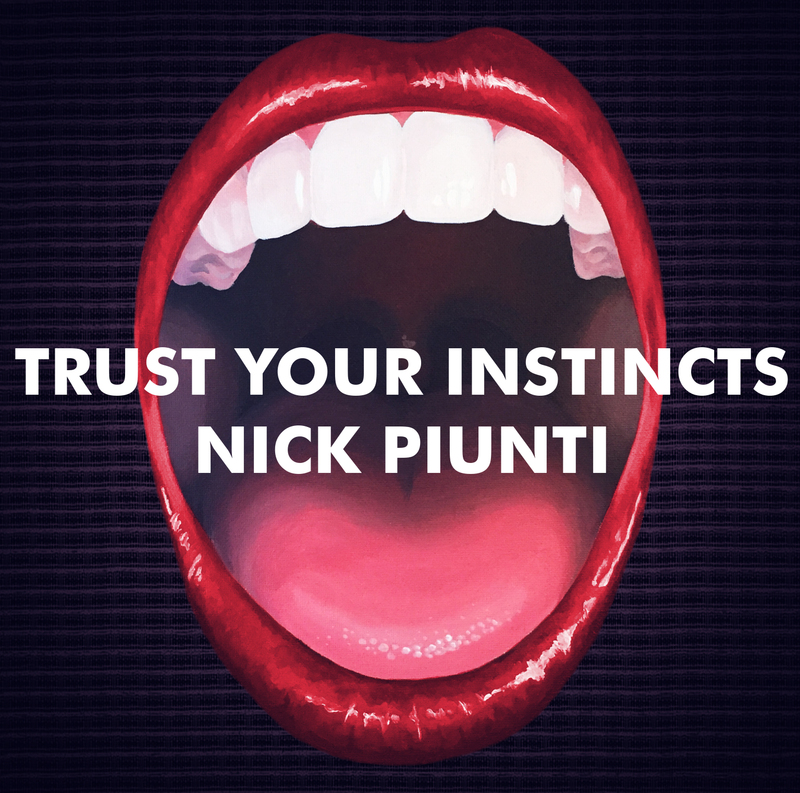 10 Golden songs, even better than I had expected, this would be in my year's Top 20 because it's a Nick Piunti album. But it could very well be at the top of the tree. Absolutely wonderful! You can pre-order the album here. Don't worry kids! There's only another fortnight to wait. Have no doubt that Martin Newell has a Rickenbacker and he doesn't play it very loudly, I dread to think how much money that I've spent on the great man. Solo Stuff, Cleaners From Venus, The Stray Trolleys, you name it................................I've even got the Gypp EP and this in it's two ingredients. One thing I can say is that it will be quite expensive per watt and another is that I don't regret one penny spent. It's Lo-Fi Heaven, he rarely disappoints. His debut solo album "The Greatest Living Englishman" is in my Top 10 favourite albums, aptly produced by Andy Partridge. Partridge may be far more versatile, but Newell is far more charming. As you can tell by the intro, I can talk about Martin Newell all day and will, but I'd better concentrate on the job in hand. In 1988, The Cleaners From Venus were coming to a natural end, it was largely Newell and Giles Smith anyway and Smith was heading for Journalism. 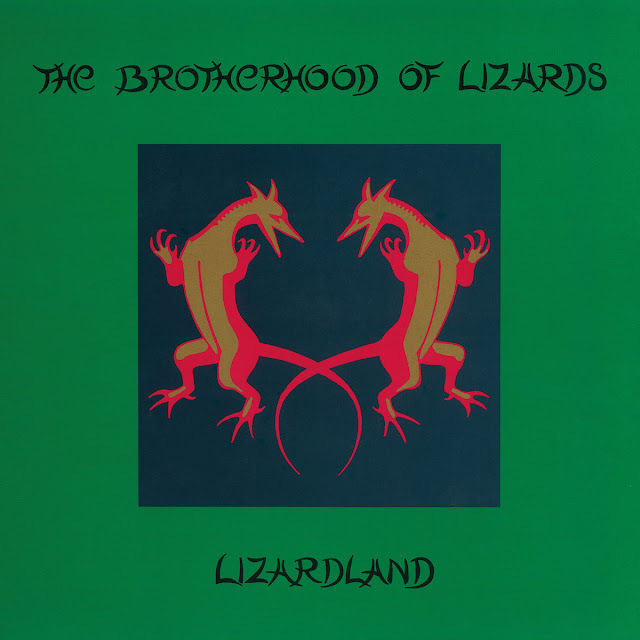 Martin Newell teamed up with Multi Instrumentalist, Nelson and formed The Brotherhood Of Lizards. The results of their endeavours are collated here. The self titled mini album, released on Newell's format of choice, the cassette and the full length Lizardland. The sound was very much Cleaners From Venus, but there seemed more focus on that sound. 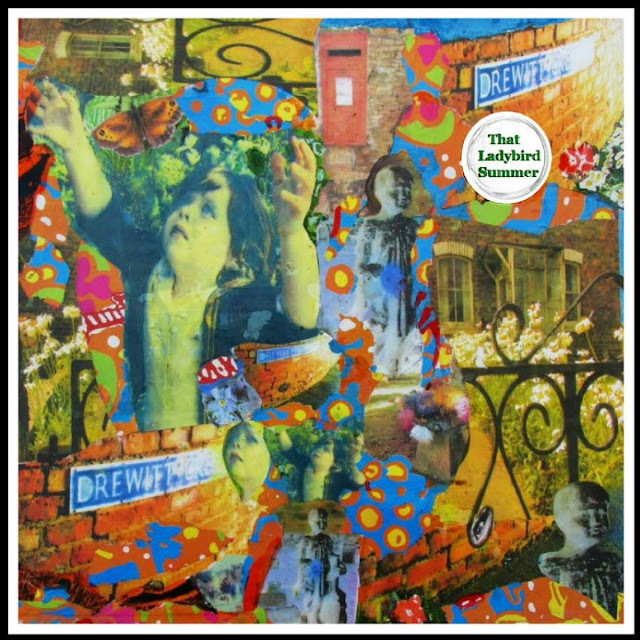 Very sixties, mixing standard Psych Pop with regular jangle, treading on Dukes Of Stratosphear territory, although it could be said that Newell had put his flag on that hill first. The duo got more press inches from the resulting tour than the music itself. Newell insisted on travelling to each gig by Bicycle and they became known as some sort of Eco Giggers. In 1990, Nelson got nabbed for his two decade stint with New Model Army and that was that. Martin Newell would move on to record his masterpiece. I'm too biased to suggest you go hot foot to here and buy this, but please go and listen to it and make your own mind up. If you like Psych Pop, this will knock your socks off. Two things we've been discussing separately this week are Nashville and Female Vocalists. So it makes absolute sense to review Gretchen's Wheel as Lindsay Murray is female and from Nashville. 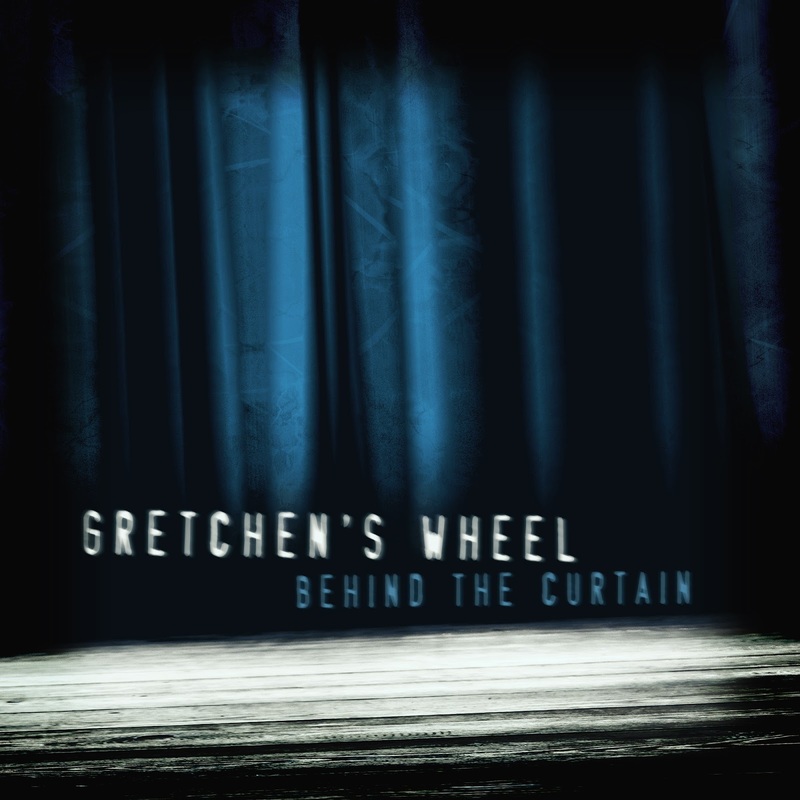 However don't expect any stereotypes here because Gretchen's Wheel is far from what you'd expect. Last year's debut album, Fragile State was produced by Ken Stringfellow and so it's surprising to say that this year's model, Behind The Curtain. at times out power pops that debut. The lead off track is a given. Invisible Wheel romps off at a great pace, a fine start. Younger Ever Year meanders beautifully, a cross between Sheryl Crow and Aimee Mann and The Good Things is even more Aimee like, as complimentary a comparison to have in my opinion. It's the latter though that is a stunner of a song. If you are going to slow things down, do it like this. Live Through You is where the Power Pop really kicks in and what a gem, a riff that grabs you. Lindsay's voice takes on a lighter tone when it would have been easier to rock it out. It work's beautifully. This Petrified Heart rocks like a good 'un, a moody vocal underpins the noise around it, Try To Make It reminds me of a more melodic Chrissie Hynde, another Power Pop riff but great melody. If you want quiet, the closing track, Behind The Curtain just smoulders. After all this riffing, it's the right end. One last thing I have to mention is Try To Make It. I think many of you know how much I love Sloan. Few cover them and those that do mainly get it wrong. What an absolute cracker this Sloan cover is. Whisper it, but this could very well be better than the original. What impresses me most about Behind The Curtain is the songwriting. All bar Try To Make It are self penned by Murray and that writing quality is of the highest order. A great album and for Five Dollars, it's an absolute snip. You can buy it here and you should buy it now. 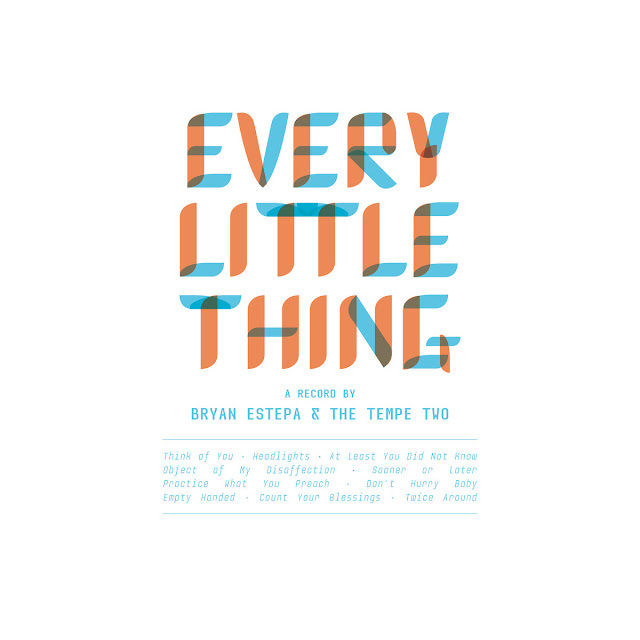 Over the past couple of weeks, a couple of people had recommended Bryan Estepa's new album, Every Little Thing, My ears pricked up when Daniel Wylie, someone who is usually spot on, was singing it's praises. I'm pleased to say all were right, it's a great listen. For his fifth album, Sydney's Estepa provides a much more varied album than you think that gentle melodic voice could. It's the quality of his songwriting that provides that variation. Just as artists get pigeonholed, so do countries. Australia is supposed to be all Power Pop and Big Rock, whilst New Zealand provides the calm and melody. Well this Australian has made a New Zealand album if that rings true. The Stand Out Song is Empty Handed which after is really up tempo and the chorus unexpectedly Power Pop. It's a great great song. Bryan Estepa gets compared to Neil Finn and we are told he's Alt Country, He's neither, but both and never what you expect. I can hear Elliott Smith, but my main thoughts are David Gates' 1973 debut solo album. Object Of My Disaffection is the nearest you'll get to Neil Finn, whilst Headlights shows his voice off best, a real slow pleasant groove. At Least You Know reminds me of Simon And Garfunkel. The Country feel is there on the splendid opener, Think Of You, but even that bursts into a soaring close. I played this last night and then again this a morning. It's definitely a get into the day album and the world will seem that much calmer after it. I'm a bit ashamed that I haven't listened to any of his stuff before this, because this is an album that others could try and would fail, because it would be too mellow. Bryan's songs ensure that it isn't and that's his asset. His voice can sing those variations and so never feels samey. An uplifting album and there aren't too many of those around. You can listen to and then buy the album for Download or on CD here. I know I bang on about buying physical product, but this is definitely an album for the journey into the work. The added bonus is that when you pull up in the Car Park with it on, you'll impress all your friends with your musical taste. I wrote this article over 3 years ago and I've left it intact. Since then as a lot has happened, some sort of Hillsborough Justice and we are very close to the new Pete Wylie album, Pete Sounds. The man has always been a sort of hero of mine. The causes, the great pop and because I was around that Liverpool scene in the late 70's. 16 years is a long time to wait, but if it's half as good as Songs Of Strength And Heartbreak, then it will be a belter. You can pre-order the album at Pete's Pledge Music page here. The great man is also on tour from November and you can find more details about that and all things Wylie here. 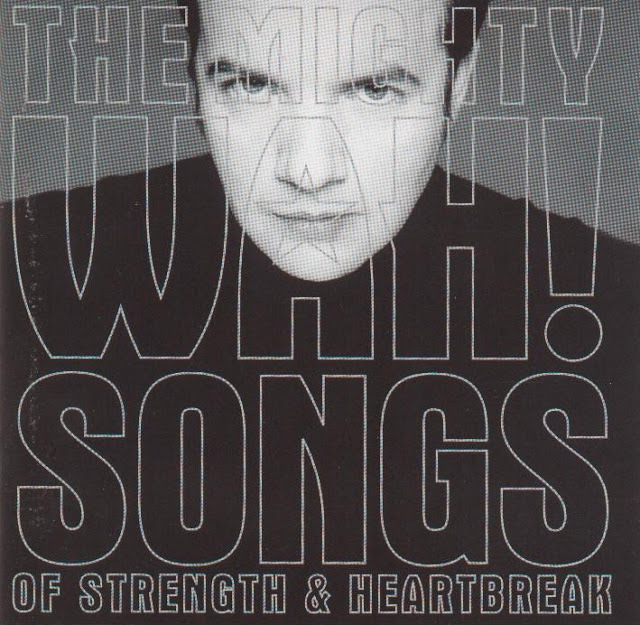 If I had one wish, it would be that Pete Wylie holds back just a tad on championing righteous causes and makes another album. His last, 2000's Songs Of Strength And Heartbreak came after a nine year gap, during which he was recovering from an accidental fall that nearly killed him. After nine years it would have just been fine to hear anything by him, even if mediocre. Instead, he produced an absolute masterpiece, twas my album of that year. It's strong from start to end, but the masterpiece is Heart As Big As Liverpool, which has become a city anthem and it just soars and soars to the closing solo and mass singalong. The 2 minute outro which is unexpected is just a masterclass on how to complete an epic. I'm not morbid and have never really thought of what I'd have played at my funeral, but if I had, there's an odds on chance that it would be this. You set me free to be what I wanna be with dignity sounds about right. When the ASH Blog was in it's prime, this album became a sort of coat of arms, if you didn't like it, you'd like nothing much else there, it became an initiation ceremony and introduced a lot of people from far flung parts of the world to the Wylie masterclass. Most had never heard of Sir Scouse. I first saw Wah live in 1980 and there was such an energy in the band, yeah it seemed new, but the pop sentiments shone through. Musically, he's never let me down, I just wish there was more of it. His fight for the city and it's people and his harnessing of causes for those with lesser voices is admirable, but I'm selfish, I want another album Pete! In fact, if possible, more than one. Many of you know how I bang on about Dom Mariani and Tommy Keene, well they now have a contender and a serious one. Watch Me Explode and Basement Punks could easily be DM3 and there's no greater compliment in my eyes. 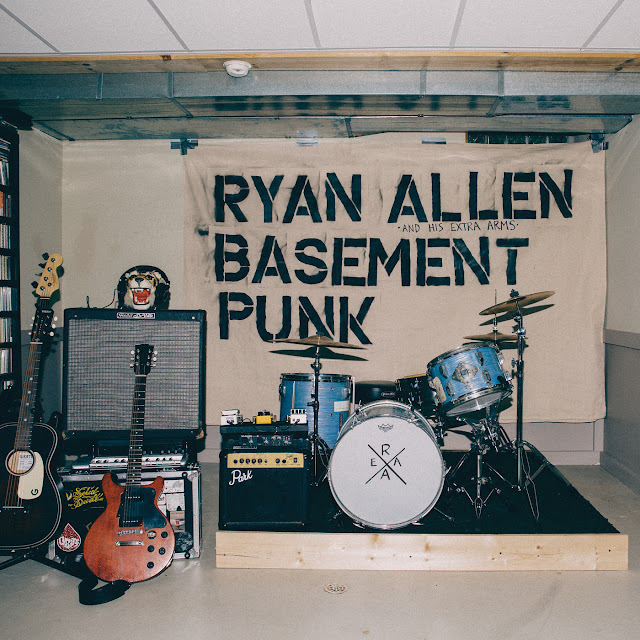 Both songs are from Ryan Allen's third solo album, Basement Punk. 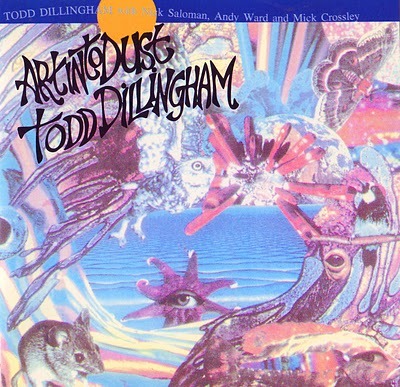 Add in connections to both Nick Piunti and Andy Reed and what a winner this album is. The boy can rock. This is the sort of release that you used to see on Not Lame, great Power Pop. Mal 'n' Ange is a real singalong. Gimme Some More is prime Tommy Keene. 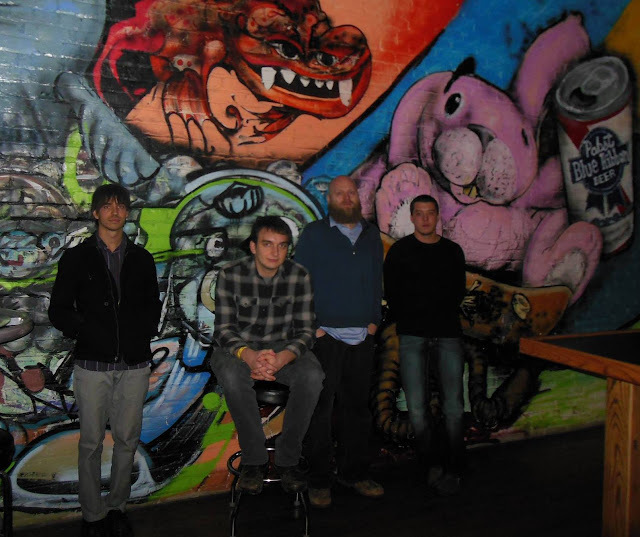 Songs like People Factory show a lyrical strength not usually associated with Power Pop. Without A Doubt could very well be Material Issue. The Destroy This Place Front Man, also plays a mean lead guitar. I'll be honest that I'd grown frustrated this year with hearing the same old thing. This month I've heard at least five albums that are contenders for the year's Top 20, each one different in their own way. This is a straight ahead Power Pop record, the type we love and there's not much around that could live with it. 7 dollars is a snip and there is a limited 500 Run CD available for 10 dollars. I would suggest that CD is the way to listen to this and it should be heard Loud. The album is Power Pop Joy! You can buy and listen to it here. My Psych Pop fascination has never left me and since the late 80's there's been some great bands. Most have come and gone, often leaving just one great "lost" album. Others have adapted their sound to a more commercial format, mainly out of necessity. One band who have been consistently brilliant are The Luck Of Eden Hall and thankfully they are still with us and get better and better. To coincide with the excellent Megadodo Singles Club release of The End Of The Lane 7 Inch Single, I asked my great friend, Mick Dillingham, to write a piece on the band. Chicago’s psychedelic combo The Luck Of Eden Hall were first formed way back in the early nineties, the era of endless tiny done on a shoestring indie labels and ultimately doomed, often hopeless, indie bands. Eden Hall played lots of small gigs, put out a couple of cheaply recorded cassette singles and recorded an obscure album. The latter being in a small studio that, with little control over the finished product, sounds totally of its time, place and unfortunate circumstance. More garage that psychedelia in production and though the budding talent is obvious even then, it’s all a bit noisy and straight forward to my ears. However, it has become highly rated by those enthusiasts who like that particular era and that particular sound. An attempt at a second album was so disastrous that the band and the producer agreed to wipe the master tapes rather than let anyone else hear them. The band limped on a while longer and then drifted apart and got on with their lives. Its an all too familiar story and generally that would be the end of it. But then a decade later, home recording techniques and equipment had improved beyond recognition and this heralded in a new era of true creative freedom for hundreds of gifted songwriters and musicians. They hold down day jobs and when they can they head down to their home studio basement to indulge in what they truly love. In 2002 Greg Curvey got his own home recording set up and bringing in his old bandmate and fellow songwriter (very much the Moulding to his Partridge) Mark Lofgren and The Luck Of Eden Hall were reborn in spectacular style. Now they could do whatever they wanted creatively without any interference and boy does it show. Since then it’s been one breathtakingly brilliant album after another, magnificent psych pop glory built around great songs and riffs, masterful playing and perfectly realised production. 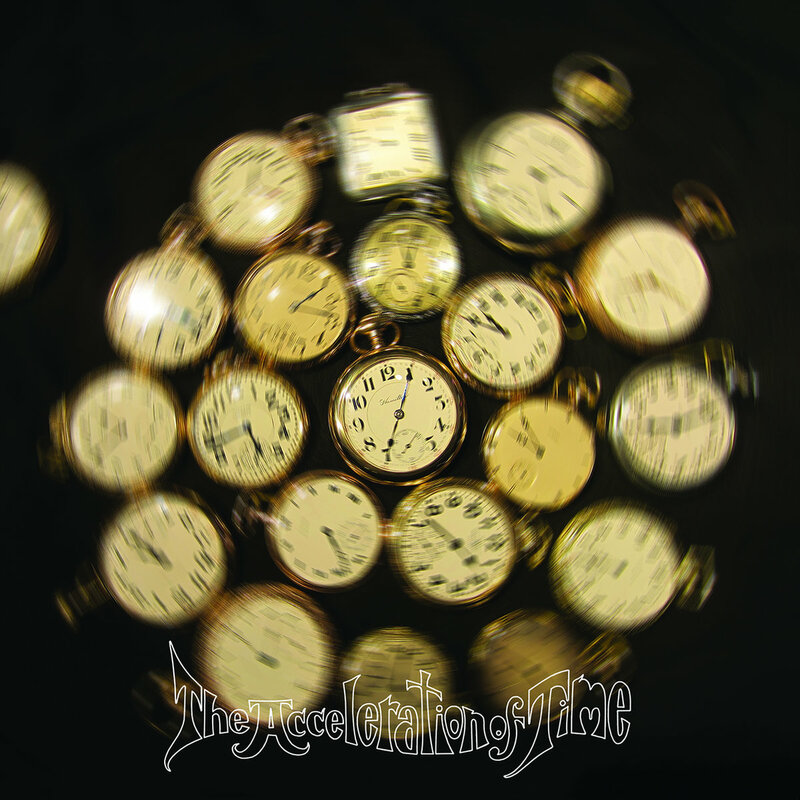 The new album, The Acceleration of Time, effortlessly continues the golden creative highs of the last decade that have made the band one to love. I certainly love The Luck Of Eden Hall but I am always aware of the one person that loves them more than anyone else ever could and that is Curvey himself. Lets face the fact that in this day and age, a brilliant Psychedelic Power Pop band is only going to be of interest to a few thousand active listeners at most. How many albums does even Jason Falkner sell in reality? Ninety nine percent of musicians do not make a living out of playing their own music. Curvey knows that and embraces the realistic opportunities that his abundant talents give him firmly with both hands. He records, writes and plays his music with unbridled passion for endless hours with no real financial incentives to make him do so. He also, designs, prints and puts the beautiful covers together, late into the night, with as much love care and attention as he lavishes on his music. He also does intricate special edition covers, the one for the new album is ridiculously intricate and quite wonderful. On top of this, he’s always on Facebook talking about, music and justice and all sorts of things with such interest and enthusiasm and insight. He really is a down to earth Renaissance man of our times, quietly and modestly, being creative and interested whenever the opportunity allows. The European label Headspin have taken to releasing beautiful vinyl editions of the last couple of albums and everybody’s beloved psychedelic vinyl label Fruits de Mer have put out various singles, compilation tracks and the like. You just know that whenever the packages turn up at his house with the latest vinyl release that Curvey will be grinning like child let loose in a Sweet Shop as he tears them open to see what wonders reside within. He always delights in the various adventures now afforded to him with obvious joy in his heart. A couple of low key crowd funded trips to the UK to play to small but appreciative audiences in small venues are treated like a dream come true to the man. Just last week he came over for some solo shows, built around his appearance at the Fruit de Mer showcase in Wales. As ever he’s cherishing every minute, another wonderful adventure to look back on with fond memories. To be honest Curvey is living the creative dream I’d be happy to live and not some rock n’ roll treadmill nightmare that is the fate of so many musicians. Free of the industry and all its various and dubious restraints Curvey, like many unknown gifted musicians, is able to let his creativity bloom at its very finest. It is us discerning listeners that reap the abundant rewards of this freedom by receiving such wonderful music for our listening pleasure. The two tracks that are posted here are from the extremely limited 7 Inch Release of The End Of The Lane. Released on the magnificent Megadodo label. 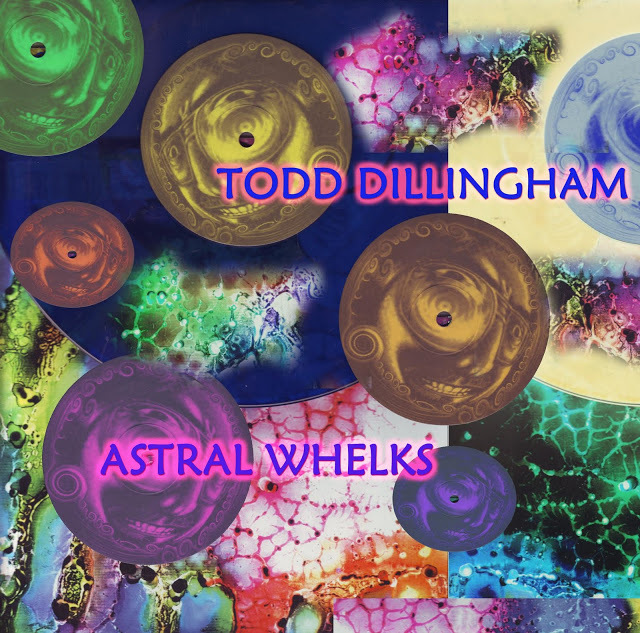 I'll be doing an extended piece on the label in the near future, but in the meantime, you can buy the single and discover other Megadodo delights here. You can discover the delights of The Luck Of Eden Hall (and they are many) here. Mick Dillingham's excellent Blog Art Into Dust can be found here. With a name like Cheap Star, you'd expect the band to be Power Pop and you'd be right and it's very much Power Pop in the land of The Posies and a more organised Velvet Crush. 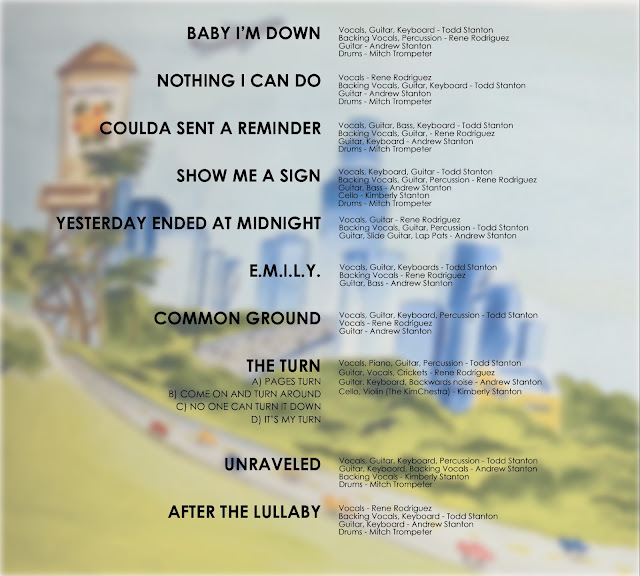 There's no coincidence in The Posies connection, because Jon Auer and Ken Stringfellow have been involved in their three previous releases and Jon Auer produces this excellent fayre. Remi Vaissiere's vocals are incredibly Auer like, particularly when he rocks. On the quieter songs, it's very much Norman Blake in Byrds mode. On those rocking moments, Remi's lead guitar sounds very much like well...Jon Auer. There's a real laid back gentle feel to the album at times and it's all the better for it and when it lets rip it catches you by surprise, a nice surprise. 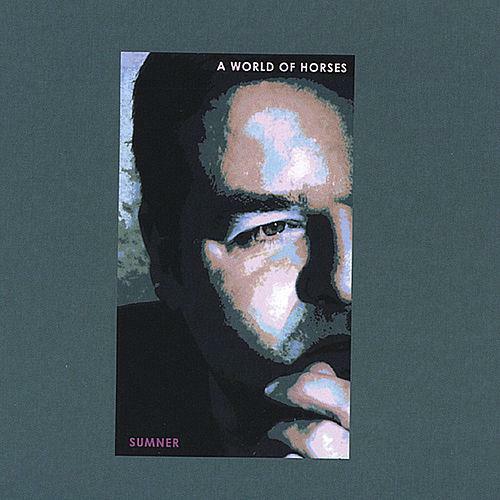 I can't stress enough how much fans of The Posies will like this album. The three piece hail from France and Switzerland, not a hotbed of Power Pop acts, although I expect lots of mail telling me this is wrong. 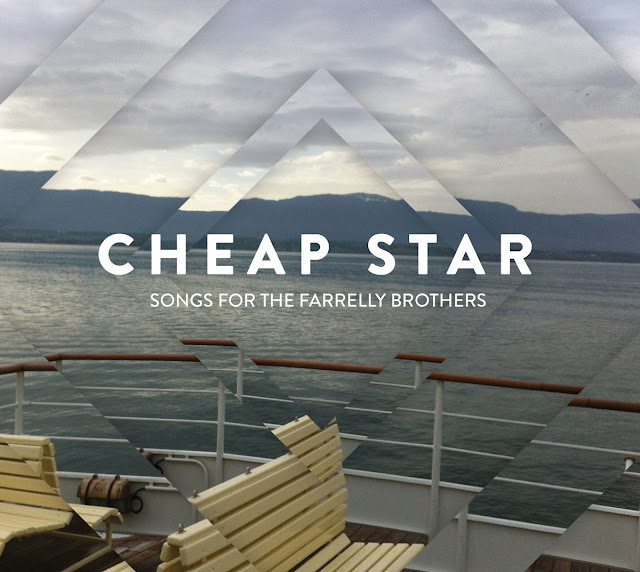 Songs From The Farrelly Brothers is a really good album and when they rock, they are fantastic. Ken Stringfellow joins them on What's The Point and it's ace. The band's hearts are not worn on their sleeves though, at different times they could be a leader in the shoegaze brigade. Memories kicks in with a Roy Orbison intro and is led by a really nice gentle riff to a merseybeat backbeat. Separated By You reminds me of the Postcard label, it could be Aztec Camera and if you want Teenage Fanclub. Well here it is with a blistering guitar solo. ight She Said is very Gallagher And Lyle with some fine harmonies. That song has a real west coast tinge as does Still I Believe. The Other Side could feature on any Posies record of your choice. It could very well be Ken and Jon and you'll be amazed that it's not. The last comparison that I will make is The Lemonheads and that's apt because there is a blistering cover of Into Your Arms to end the 11 song treat. In summary, I perhaps wish they would rock just a little more because they are so good at it, but that's a criticism I could level at The Posies sometimes. It's not a negative, because this album is a bargain at 8 dollars and a great addition to anyone's collection. If you are a fan of The Posies, the purchase is essential. You can buy the album at the band's Bandcamp site here. Listen to it all the way through and I'm convinced that you will want to own it. You can also listen to Cheap Star's previous offerings, Speaking Like An Elephant and Rosetta Stone at the band's Soundcloud site here. 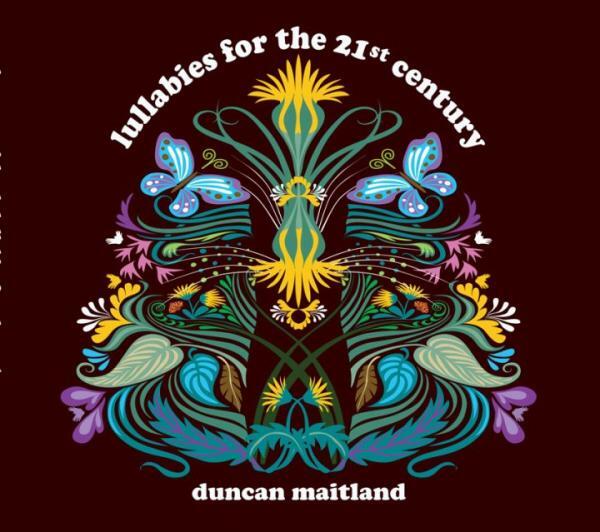 If ever an album should be listened to on vinyl, it is Duncan Maitland's 2010 masterpiece, Lullabies For The 21st Century. Now you can because the excellent Sugarbush Records has released it in 12 Inch mode. The album is an absolute gem, It varies from Psych Pop to straight ahead melodic tunes. At times, it could be XTC in Stratosphear mode, it's definitely in Orgone Box territory, but it could easily be Pugwash. More on the album in a bit, but first Duncan Maitland, an artist you should have heard far more of. He was in the underrated Picturehouse for their first two albums and wrote the killer single, Sunburst. That band paid their dues with big support slots but it didn't seem to fall for them and Duncan left to play with Pugwash. He was on their first three albums, up to and including Jollity. He's since played with Anny Celsi and Nelson Bragg and played Keyboards on XTC's Say It. As for the album, it's special guest ahoy. Colin Moulding plays Bass on the opener, Your Century. Also on the album are Pugwash's Tosh Flood and Shaun McGee and another underrated artist, Slumberjet's Barry O' Brien. It's a cracker of an album, wonderfully put together, dreamy enough to lie back to, but with moments that just hit you. It reminds me a lot of The Lilac Time. Each song is a mini masterpiece, if you lot don't hurry up an buy this sharpish, it's going to be one of those great lost albums. I'd be very disappointed if there's not another album pretty damn soon. There's so much to it, even the jazz like shuffle, Insect Under The Stone. It's done in the style that Andy Partridge did with The Man Who Sailed Around His Soul. So you can buy it now from Sugarbush here. If you haven't got a turntable, well perhaps it's time you sorted that out. In the meantime, you can buy the download from Amazon here. I've been a fan of Bill Lloyd for more years than probably either of us care to remember. Set To Pop remains one of the great Power Pop Records and is till as fresh and relevant as 22 years ago. I'm a bit late telling you about his latest offering, as I am with a lot, but with the hearing sorted, it's time to inform you of it's greatness. Like a lot of the Power Pop Community, some great songs are at times thrown away on compilation albums and Power Popsters do like a tribute album. My good friend, Angelo, at Power Pop Criminals has done a pretty good job over the years of collating these Power Pop gems from all and sundry into splendid collections. On Lloydering, 12 of these songs get compiled lovingly into an album that stands up in it's own right. Mainly unobvious songs more obvious artists. Badfinger's Lonely You, The Hollies' Step Inside, The Raspberries' Going Nowhere Tonight, The DB's Neverland for instance. 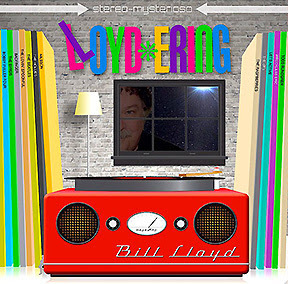 All are played beautifully in the Lloyd Style. Special Mentions have to be given to a few of his choices. Todd Rundgren's I Don't Want To Tie You Down is a real surprise and too few people realise the pop genius of Mitch Easter, so Let's Active's Every Word Means No is more than welcome. The real gem for me thought is the truly faithful cover of Wreckless Eric's Whole Wide World, one of my favourite songs covered by one of my favourite artists. If Bill had only recorded Set To Pop and Standing On The Shoulders Of Giants and played his part as he did in the supergroup, Swag that would be enough for me to install him in The Power Pop Hall Of Fame. But there's been loads more great stuff and this latest album just adds to his reputation. You can find out more about Bill here. There's also links to buy the album on CD or Digital on the site. Now this is the territory that I always feel at home in. New Jersey's Somerdale are a three piece power pop group that would easily be at home in 1975 UK fighting it out for a Top 5 spot with some Chinn and Chapman prodigy. The album really is high class Pop Rock. In ASH's nine years, this is the sort of thing we usually celebrate. However, it's normally some lost album that we fawn about, Jigsaw, Pilot, Ace, you name 'em. We've often mused about why there are no new bands doing this now. Well now we have Somerdale. This sort of 70's Medium Wave Territory is something I spend a lot of time listening to and trust me, I know my stuff. I also get to listen to a lot more badly done stuff than good. "Shake It Maggie" has been the biggest surprise for me for a long time. It's fantastic. Don't get the impression that the album is derivative, because it's not any way. It doesn't wear it's influences on it's arm. the songs just gently remind you of that time. "Take It From The Top" could be Liverpool Express and should probably be the lead single. "Waiting For You" could be Jigsaw. On other songs, you hear 10CC, The Arrows, Andrew Gold, the list goes on. "Puddles Of Me" could be prime time Badfinger. "She's Leaving California" hints at a rocking John Miles. The biggest surprise is that Somerdale are American, they sound so English. Finally for the Power Pop Kids, well there's "The Coolest Kid In The Room", pure Fountains Of Wayne. I remind readers often that this place is not for the gushing, I receive a lot of music and it's always appreciated. However I have a policy of only reviewing things that I like. I've done hatchet jobs on things that I don't in the past, I'd rather not these days, it's unfair and I just choose not to review them. So when I tell you that this is the best thing I've heard in ages, you can trust that remark. 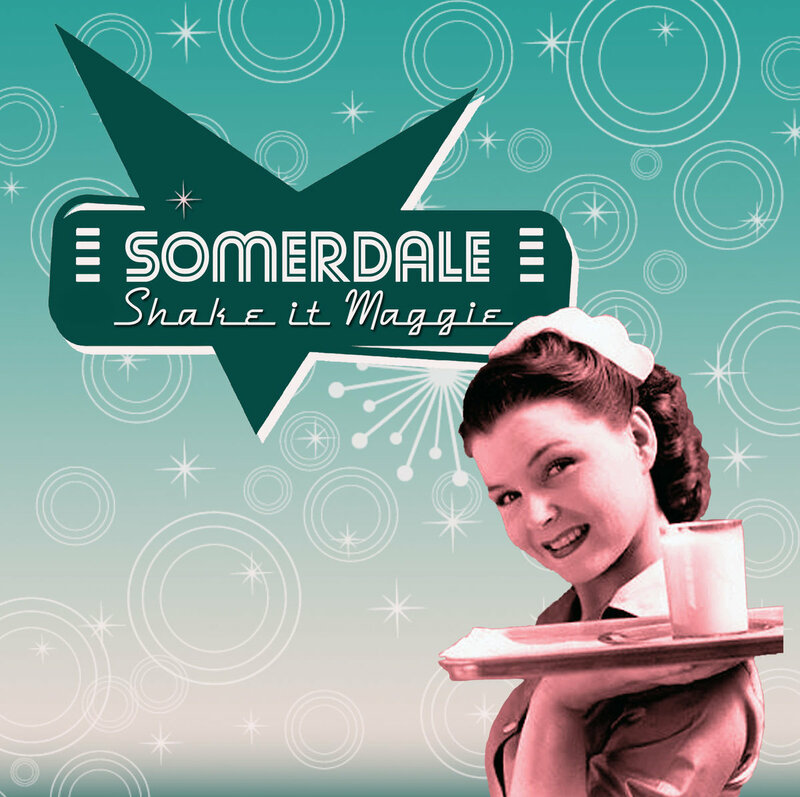 Shake It Maggie is, it's a superb listen and right up my street. I read that they've released two albums before this, I'm just sorry I missed them, because this album is fantastic. You can listen to the album and then buy it here. An absolute bargain at 7 dollars. The CD can be bought at the likes of Ray's Kool Kat Musik. Somerdale you have a fan and I suspect many more when the ASH crowd get a hold of this. Power Pop is so Wham Bam Thank You Mam, that at times you just want something a little slower. Rene Rodriguez and Todd Stanton are both Mike Viola fans and although Viola is at the Power Pop Top Table, he has got that Paul McCartney like way with a melody. Well Rodriguez and Stanton's Identical Suns have come up with a cracker of an album that is not necessarily Power Pop, yet those influences spring up readily. It's laid back joy. The opener, "Baby I'm Down", could very well be The Mavericks until the chorus hits you in a sort of UK 60's Beat way. It's a joyous album, melody led and laid back in a San Franciscan sort of way. An album to listen to from start to finish. Great playing, unexpected arrangements such as drum shuffles, acoustic riffs and some fine lead guitar. Scott Bennett helped out in the latter days of the recording and you can hear that Beach Boys Influence in "Nothing I Can Do"
"Show Me A Sign" could be The Raspberries and has a great lead solo. EMILY is a real rock out. "Yesterday Ended" begins with a real Peter Green like Riff and then borders on West Coast wonder. Out of character with the rest of the album, "The Turn" is almost 10 minutes of constant shifting, a Psych like masterpiece. really gripping. The closer, "After The Lullaby", well. it could be Jackson Browne backed by The Beach Boys. All in all, a really impressive debut album and I'm personally looking forward to plenty in the future. 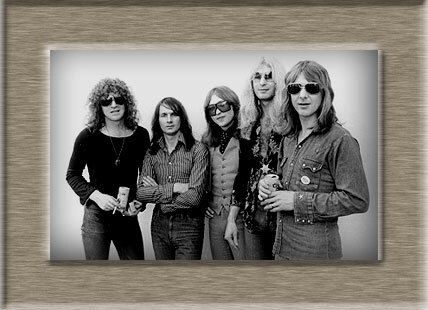 It's hard to make anyone understand the fawning and adulation that Mott The Hoople get from their fans. It's a devotion every bit as deep as that of a catholic, a Seventies miner to the union or a Morrissey fan. It's hard to explain the devotion and utter Hoople trainspotter mentality to the casual listener who looks upon them as a one trick All The Young Dudes pony or may remember All The Way From Memphis, the fan's love is deep and never leaves them. Before the 2009 reunion gigs, the band hadn't played a chord together since 1974, nigh on four decades since a studio album and their fan base was only ever enough to sell out a mid size UK Tour of the Apollo's and Empire's of the world. Yet at those reunion gigs, I witnessed grown men crying, myself included. Their albums largely hit the middling reaches of the chart and their best stuff on the Island label, rarely did that. Together just over five years, that produced just seven studio albums and yet the reunion was named as the gigs of the year and they commanded the column inches of all the popular press. Two things strike me as the reason for their deity like appeal. Firstly, on their day, live they were untouchable, they made shows look like they were playing just for you, they milked every corner of the venue. Secondly, even if they didn't care about the fans, they gave you the impression that they did, songs were about the fans or about the band, everything seemed so heart felt. As a fan you felt wanted, as though you were an extension of the group and that they understood exactly how you felt. Of those albums, Mad Shadows is the absolute masterpiece, even though Brain Capers seems to have been extolled to heights that it doesn't really deserve over the years and Mott appears in every music magazine's Top 200 albums ever. The rest were certainly patchy. If you want to hear them at their best, the medley from the live album is what you need. There were two Mott The Hooples, like two different bands. The Island Years were a ramshackle delight, probably purposely c/o Guy Stevens. The CBS Years were glamtastic, rescued by David Bowie with All The Young Dudes and the resulting album, it was dressing up and fun and all about the kids. However, in all this glam joy, there was still plenty of serious music, take the wonderful "Alice" on "The Hoople" swansong. In truth, the end was when Mick Ralphs left, Ariel Bender (Luther Grosvenor) kept them going for another 12 months with sheer enthusiasm and Morgan Fisher added a musical excellence that was more professional, but Hunter's writing had less heart. Mick Ronson joining seemed a marriage made in heaven and the money beckoned, a paydirt tour of the USA and a sell out UK Tour were largely organised, but different managers made the union impossible and that was it. Their final single, Saturday Gigs said everything about the band, who else would sing about their history with Goodbye's at the end and make it so catchy? In those days, rock stars were revered in a way they aren't now and won't be again. Their influence on other bands, most notably The Clash is there for all to see and the plaudits that are passed down from the likes of Mick Jones, Michael Stipe and Morrissey are in tune with the fans, for they were and remain massive followers of the band. Morrissey has the same fan adulation as Mott, but you sense the two way acknowledgement isn't there. The band carried on as Mott and British Lions with decent albums that are appreciated, but they weren't Mott The Hoople. Ian Hunter started a solo career that produced some gems, particularly the first album with Ronson that contained some material that was for Mott The Hoople and his last three albums which have been up there with anything he's ever done and a new one is out next month. The last YouTube clip is Lounge Lizard, a song that was to appear on the next Mott The Hoople album, but instead, became part of that Ian Hunter solo debut. The Ballad Of Mott however rolls on, there'll never be new material, but you can admire the legacy. As Hunter sang on that final single, Don't Wanna Be Hip, But Thanks For The Great Trip. Comments are encouraged and also your own thoughts of bands who experience similar devotion.